Sounds French-ish, so good right? Sauvignette grapes (aka Epicure) came from a hybrid of Cabernet Sauvignon and a mix other hybrids, Resistenzpartner possibly. This mutt of a grape is all the stronger thanks to its mixed heritage, handling the harshest climates. Unsworth Vineyards grows it on fertile clay soils on gravel in the Cowichan Valley. Neutral barrels ferment it through a full malolactic fermentation, extended for five more months on the lees: a good recipe for complexity. The color looks a clear light straw with medium legs. Medium plus AROMAS glow with kiwi, honey, beeswax, lightly toasted almond, and lime. The PALATE feels dry, acidities cut high like a jagged knife, but finally, thanks to this odd grape choice (and methods), the alcohol is warm, texture viscous, due to the medium plus at 13.9% abv. Medium plus intense FLAVORS carry afinity to pineapple juice, green apple, and light vanilla powder and almond. Unsworth’s Sauvignette is bright yet well oaked. It comes off a bit punchy and virile, but such intensity is appreciated in this land of light and limpid. Pair with garlic and cream dishes, lemony white fish, aged goat cheeses like manchego cheese. It is very good (4 of 5), worth $21, both thanks to the material and methods. 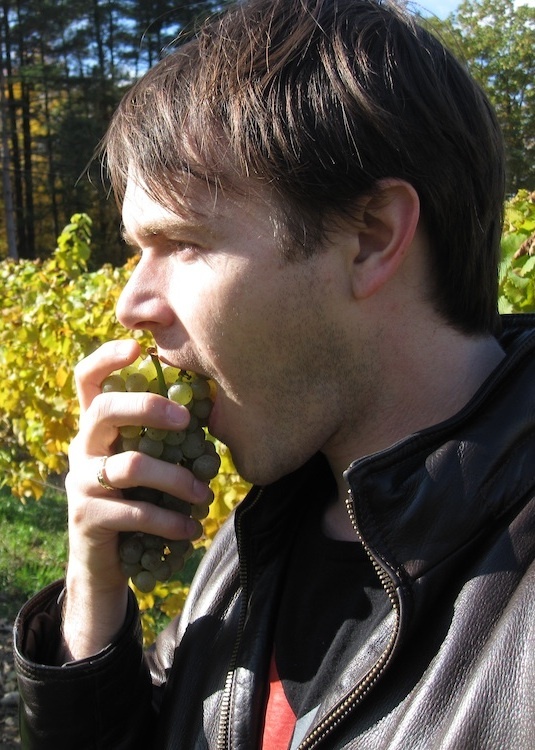 This entry was posted in Vancouver Island, White wine and tagged Cabernet Sauvignon, Canada, drink, grapes, lees, Oak, Sauvignette, Sauvignon blanc, travel, Vancouver Island, wine. Bookmark the permalink.